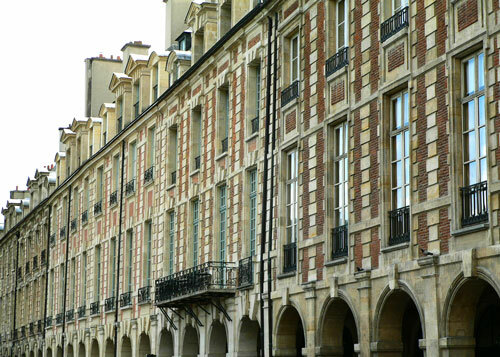 Visiting the Place des Vosges (Vosges square) means to travel through time to the epoch of the Kings of France. 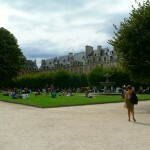 As soon as you get on the square you will notice the unity in composition and height of the buildings surrounding the square. 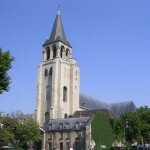 Only two buildings break with this unity: the Pavilion of the King, on the south side (coming from the rue Saint-Antoine and rue Birague), and the Pavilion of the Queen, facing it e (entry of the place coming from rue du Béarn). 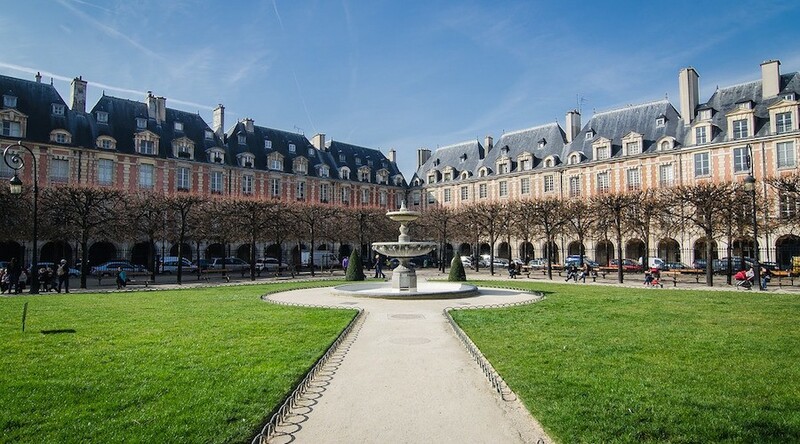 Although the square, initially called “Royal Square” when it was built during the 17th century under Henri IV, was for many years the centre of the royalty, the king actually never lived there. 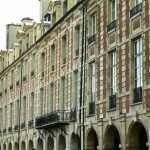 The 36 pavilions surrounding the square were private townhouses for the upper bourgeoisie and high-ranking officials from the monarchy. 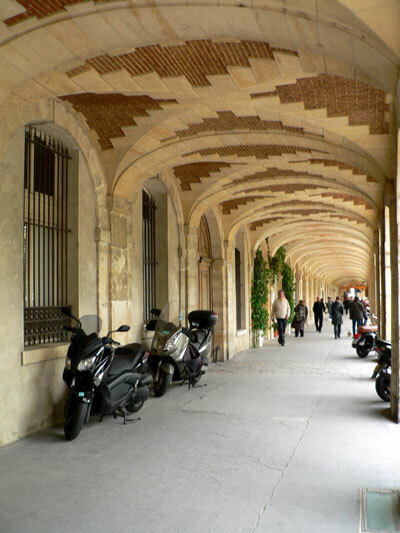 Before lounging on the lawn of the Louis XIII garden, in the middle of the square, take a walk around the square under the arcades surrounding it. 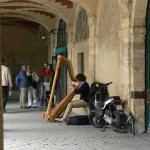 You will discover a majestic peace, accompanied, if you are lucky, by the sounds of a musician who came to share his passion beneath the historical arches. 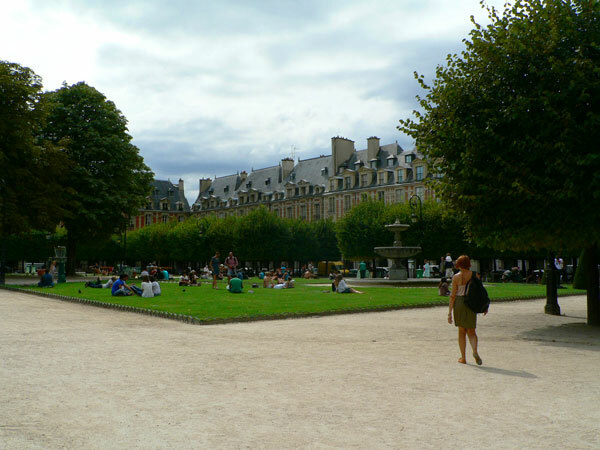 Although the square was built back then for the escapades of the bourgeoisie, it also became the first public walking spot for Parisians looking for calm and well-being. 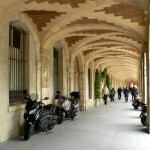 The Place des Vosges is still a very popular spot in a sumptuous setting. 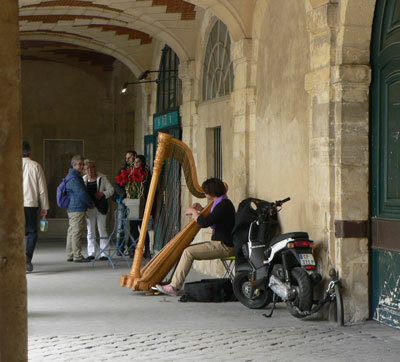 During your walk under the arcades, you will have the possibility to see, at n° 7, the Hôtel de Sully (minister of Henri IV), which connects the square to the rue Saint-Antoine (interiors accessible for special events only). 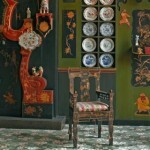 You can also visit the house of Victor Hugo, who rented it before his exile, and where he wrote a good part of his works, including a part of Les Misérables. 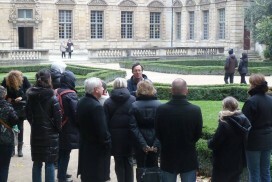 Before leaving the square, take a break in the Louis XIII garden, the statue of whom is right in the centre. 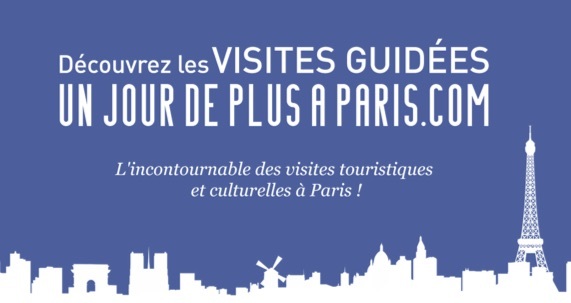 To follow your discovery of the neighborhood, see our walking tour in the Marais. 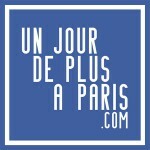 An immersion in the everyday life of one of the French greatest writer and poet. 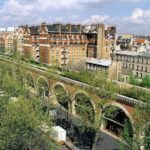 Stroll Latin Quarter and Saint-Germain-des-Près districts, to discover wonders of the 12th to 16th centuries.